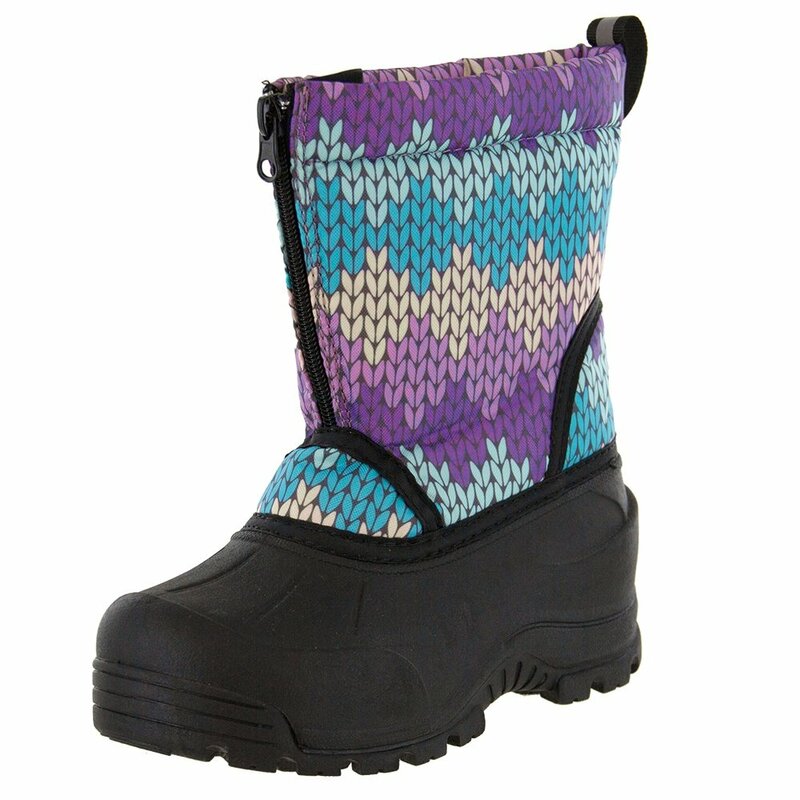 The Northside Icicle Boot offers kids durability and protection from the snow. The lower section is made from rubber so they can run, kick, jump, and stomp without blowing out their boots. The upper is quilted nylon that's backed with insulation for warmth. There's a zipper on the front so they're easy to get on and off, and a grippy rubber sole to reduce slipping. "Are these black youth Northside icicle boots for boys ??" "The Northside Icicle Boots are unisex. " "What is a BIG KID size 1 in Euro size? " "A big kids size 1 in EUR sizing would be a 32!" "what age group does this fit?" "This boot is for age groups of 8 years old and up!"